DOBANI 3 Inch Timsha Bell Embossed Brass Dragon TSB300 A. The Dragon on the Timsha Bells-considered to be a protector or guardian. The timsha Bells are a ritual artifact by Buddhist Monks, as well as in the Shamanist traditions. The Timsha's are made of a complex alloy of bronze copper and tin and also iron and zinc. Measures 3.00" in diameter. 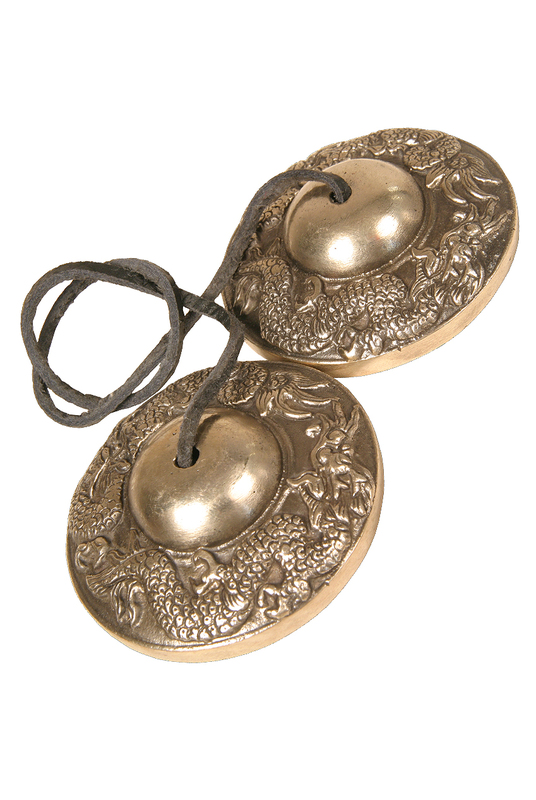 When these unique hand cymbals strike each other they produce a clear, pure, cleansing sound which can be used to focus the mind before and after meditation. When played as an instrument they can be used as a chime or a bell. They can also be used to clear the space of any negative energies.